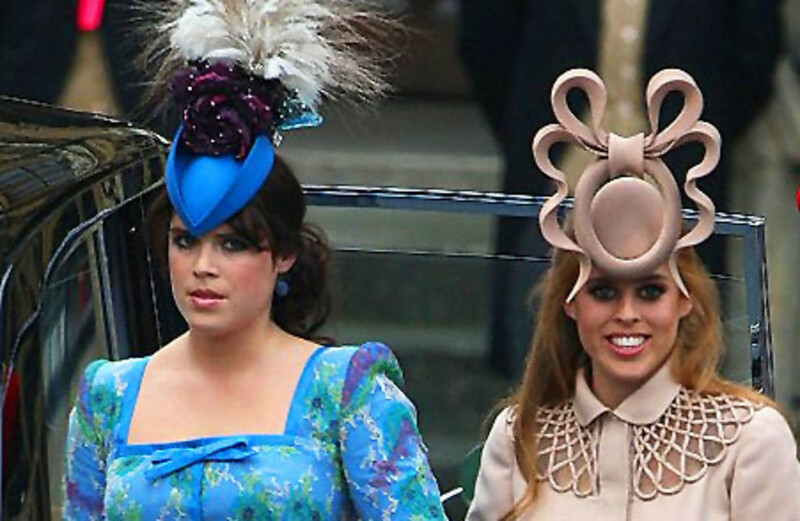 Cranky Beauty Pants: Princesses Eugenie and Beatrice. And Posh. Right. So we&apos;re all a little punch-drunk at this point because it&apos;s a work day and we&apos;ve been up since 3 a.m. EST or midnight out west. We might be making some fashion and beauty mistakes of our own because we&apos;re just so tired. What was Princess Eugenie&apos;s excuse? And what about Princess Beatrice? They look like Ugly Stepsisters who might be mean to Cinderkate. Let&apos;s start with Princess Eugenie, the brunette. She&apos;s wearing a Vivienne Westwood dress and what is being called a "matching" hat. So she&apos;s wearing a whole lot of hat and a whole lot of eyeliner. Between her and her sister, it&apos;s likely that they used an entire eye pencil down to a nub. Her hair looks like it could use a good brushing in its low pony. I imagine that if you have bangs, or "fringe", if we&apos;re all being British today, that hat makes your styling a little more difficult. She&apos;s certainly making it look difficult. And then there&apos;s Beatrice. Could her colour be more brassy? Could she maybe use a good anti-frizz serum or something? I think so. She also looks a tad Lohrange in some of the shots but her legs are still Brit-pale. You really must see her hat from the side to get the full effect. It&apos;s kind of like a fancy door knocker in motion. Weird. You know who looked classy, elegant and understated? In a word "appropriate"? It pains me to say but Posh Spice, Victoria Beckham actually looked, well, posh almost all the way to her toes. You can see her straight on here and from the side. 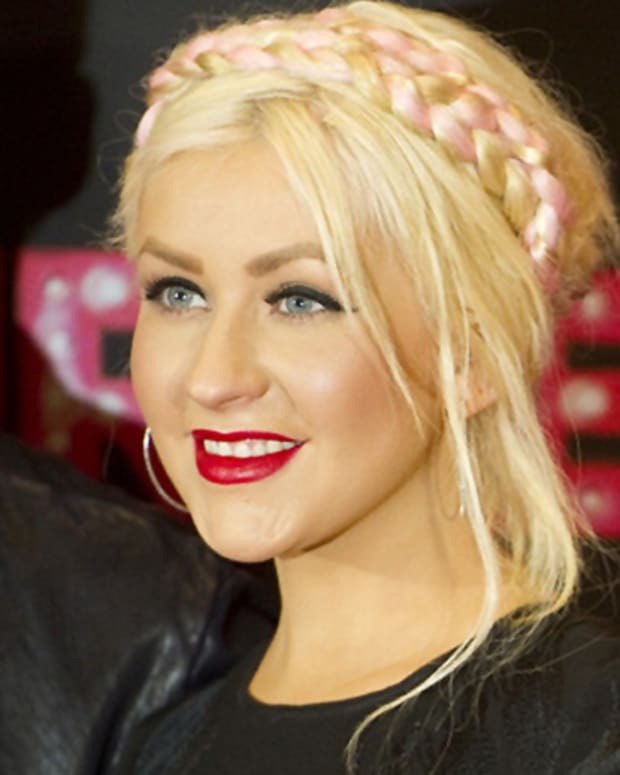 Love the slicked back pony and subtle makeup. Yeah, just called Posh subtle. This may actually be one of the signs of the Apocalypse.